Pre-orders are defined as a dealer taking an order for a product before it has been delivered to the dealer by the manufacturer. Since most camera companies are now announcing products far ahead of their delivery, if you really want to get a product as soon as possible after it is announced, you basically need to pre-order these days. Be careful. Dealers have no guarantee of how many products they will receive from the manufacturer. Thus, in many cases people are getting in line with a pre-order and not receiving it when the product first ships because they were too far back in line for the number of units the dealer received. The product in which this was most obvious was the Nikon D800 in 2012, where some pre-orders didn't actually ship until four months after the first units were shipped to dealers. In all cases on this site where there is an advertiser link for a pre-order, there will be a link also to this article so that those new to the pre-order game will have some idea what they're getting into. A pre-order does not guarantee that you'll get your product the day it first ships. When you get your product depends upon how many people got their pre-order in before you and how many products your dealer of choice actually received. Almost no dealer reveals your place in the pre-order queue. The paranoid will think that this is because they're gaming the queue and shipping to favored customers first, but in the case of this site's exclusive advertiser, I can assure you that's not the case. The real problem is a competitive one. Some users are gaming the system by putting in pre-orders at multiple dealers, then trying to figure out which one will ship first. If they knew their place in line and how fast that dealer was clearing their queue, they'd be jumping ship on their order. Moreover, the big Internet dealers that tend to take all the pre-orders don't want competitors knowing how many they've taken, so they don't disclose the size of their queue or a person's position in it. The net of this is, once you're in a pre-order queue, you won't get any information about when your product is likely to ship until just before it does. How you pay is important. If you pre-order with a PayPal account, for example, the money will be transferred on the pre-order. With some types of credit cards and large transaction, a pre-order may put a credit hold on some of your card's credit line. If your card is declined when your pre-order finally is processed, you may lose your place in the queue. I'm not a huge fan of pre-orders, obviously. There are so many little details that can make it an unpleasant experience when demand far exceeds supply. I try to use pre-orders for my own acquisitions as little as possible. Indeed, that D800 fiasco was a good example. 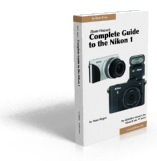 Nikon ships equal quantities of product to all dealers at the same contract level with them. That means that dealers in big cities (New York, Chicago, Los Angeles, etc.) tend to not get enough to fill their pre-order lists, while dealers in smaller cities (Allentown, Boise, Sacramento, etc.) may have an extra unit or two to sell. I helped a lot of people who didn't get their D800 pre-order on day one find a D800 before it would have been shipped from their vendor of choice. By all means use pre-orders if you're okay with everything I've written above.